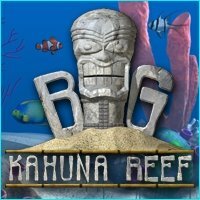 Free download of Big Kahuna Reef from amazon.com. Check check out and there's no payment at all! Enjoy. Click here to go to the amazon.com page. You can even have the option to download later.. then it's added to your cart and you can download it later. It's a fast download. When you do this promo, you'll get an email shortly after downloading it saying that you get $5 off any Amazon MP3 or album! So, that's a free game AND some free music!